The annual Marketing Career Conference is an intimate gathering of Cal Poly’s brightest and most ambitious marketing students and top companies. Hosted by AMA and Cal Poly’s marketing department, the MCC takes place this year on Friday, February 8. The Cal Poly American Marketing Association’s Marketing Career Conference is an incredible stepping stone into your future. Connect with industry professionals, showcase your skills, and find full-time jobs or internships! Take the next step in your career and save the date for the 2019 MCC. For inquiries about our upcoming Marketing Career Conference, please contact Alisa Frost or Larry Tran at [email protected]. 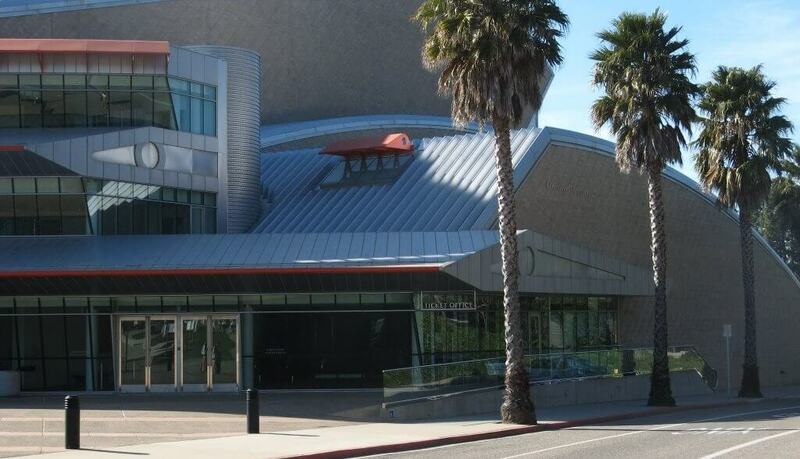 We are pleased to provide an elegant venue for our participating companies in one of the premier buildings on the Cal Poly campus, the San Luis Obispo Performing Arts Center. With sweeping views and convenient parking and facilities, the Performing Arts Center makes an ideal location for an exclusive event such as the MCC. Each company will be provided with a table, chairs, and refreshments throughout the event. MCC also features panels of executives from participating companies to field questions and provide students with insight relating to careers. Panel members will highlight careers and how to actively manage career progression at their companies, as well as the importance of personal branding. Each individual’s journey to finding their first job is intersected with the task of defining what differentiates them from the hundreds of other qualified applicants in the job market. This panel is targeted towards individuals who seek to find confidence, differentiate themselves, and market their skills to encounter success when applying for new positions. As students, we constantly hear of the importance of networking. Building a strong network of people who will elevate and vouch for us will make all the difference in our success in the workforce. This panel will help those looking to create strong professional connections and build the bridges that will guide them towards achievement. You’ve found your dream job! Now what? This panel is directed towards individuals who look to leverage themselves to advance their careers by taking the proper steps, including strong professional conduct, and solid quality of work. The pitch groups will be selling potential employers on your their capabilities, with only 4 minutes to spark their interest. The 4th Annual Marketing Career Conference Pitch Competition is designed to provide this type of exposure by giving Cal Poly Marketing students a chance to present their projects in a pitch-style competition. Contestants will demonstrate the skills learned through the Integrated Marketing Communications Minor and present creative marketing work. During the Creative Showcase students will display their design work in the form of Logos or Marketing Collateral to be judged by industry professionals. This allows students to impress companies with their skills in design and showcase the immediate value they can bring to hiring companies. To help people discover greater purpose and passion at work. This isn’t only about doing the right thing for people. It’s about making our world a better place. When we match passion with a strong sense of purpose, we perform far better. We have more energy. We’re more committed and engaged. We’re more productive. We’re happier. Our world benefits from more new ideas as we take risks, learn, raise our game. Collaboration increases. Transformative products get to market faster. We’re doing everything better. A family-owned, world-class portfolio of brands. A global network that spans across more than 90 countries. Some 100,000 dedicated team members sharing common values. And more than 1.9 million vehicles taking our customers wherever they need to go. Any way you measure it, we’ve become a leader in the transportation service industry. How did we get here? By taking care of our customers, our communities and our employees – and staying true to our mission. Our Mission To be the best transportation service provider in the world. To exceed our customers’ expectations for service, quality and value. To provide our employees with a great place to work. To serve our communities as a committed corporate citizen. Global Industrial Supplier serving Manufacturing, Maintenance, and Construction markets. Fastenal is the 8th largest industrial supplier in the US and the 3rd largest Safety product supplier. With over 2400 locations worldwide, our motto is Growth Through Customer Service. Gallo Sales Company is the Northern California distributor for E & J Gallo Winery. E & J Gallo Winery was founded by Ernest & Julio Gallo in 1933 and has since become the largest winery in the world. Do you thrive in a fast-paced, competitive environment? Are you interested in an opportunity to develop your problem solving skills and creativity? As a Sales Representative, you will independently manage a territory of pre-established accounts, build in-person relationships, and promote a vast portfolio of wine & spirits. Your responsibility will be to maximize Gallo’s exposure through impactful placements in your accounts. Through extensive sales training and on-the-job experience, you will learn to be a successful consultative salesperson. Gartner, Inc. (NYSE: IT) is the world’s leading research and advisory company and a member of the S&P 500. We equip business leaders with indispensable insights, advice and tools to achieve their mission-critical priorities today and build the successful organizations of tomorrow. Our unmatched combination of expert-led, practitioner-sourced and data-driven research steers clients toward the right decisions on the issues that matter most. We are a trusted advisor and an objective resource for more than 15,000 organizations in more than 100 countries — across all major functions, in every industry and enterprise size. A digital consulting and experience design agency that helps brands transform for the experience economy. Born mobile and rooted in software design, we thrive at the intersection of data, human behavior and technology. We are a global marketing services group specialising in the execution of print, digital and retail media. Providing services to brands and retailers, both directly and via their nominated agencies, HH Global delivers a seamlessly integrated Customer Brand Experience and a greater measurable return on marketing investment (ROMI). With offices across Europe, the US, Latin America, the Middle East and Asia-Pacific, HH Global delivers for some of the most successful and challenging brands in the world and is a market leader in the coordinated, leveraged, management of global marketing supply chains to unify and synchronise all customer touchpoints across digital, print and retail media. The HH Global proposition includes: Marketing Technology; Media Asset Management; Creative Production; Artwork Management; Transcreation and Adaptation; Marketing Procurement; Production Management and Marketing Fulfilment. Insight Global is a national staffing and services company that specializes in sourcing information technology, government, accounting, finance, and engineering professionals and delivering service-based solutions to Fortune 1000 clients. We were recently ranked as one of the Top 10 Most Popular Companies for Recent Graduates and we are always looking to add more Mustangs to our team! Jellyfish is the world’s biggest boutique agency, with offices spanning EMEA, the US and APAC. The agency works in partnership with brands to help achieve business success through their marketing strategies, resulting in perfect digital journeys for their customers. Marketing Evolution is the leader in marketing effectiveness management. We delivers an ROI management platform called the ROI Brain that allows companies to see how their marketing is performing in real-time and make data driven adjustments to the media mix while the campaign is running. We have the only system that does this across all media platforms, so you get to see an entirely holistic view of your entire media campaign. News America Marketing, a subsidiary of News Corp, is the premier marketing partner of some of the world’s most well-known brands. From our iconic Sunday coupon insert, SmartSource Magazine®, to our innovative digital savings platforms like Checkout 51, News America Marketing’s advertising and promotion programs are an integral part of America’s shopping routine. Since 1988, we have delivered advertising and promotions that are proven to help brands succeed. Oracle offers a comprehensive and fully integrated stack of cloud applications, platform services, and engineered systems. We provide a complete technology stack both in the cloud and in the data center. Ruckus Networks, an ARRIS Company, is redefining connectivity around the globe. We innovate across wireless and wired technologies to meet industry-specific network requirements, even in the most demanding use cases. Our high-performance network infrastructure provides secure, reliable access to applications and services, no matter how tough the environment. When connectivity really matters, Ruckus has you covered. TEKsystems is a leading provider of IT staffing solutions, IT talent management expertise and IT services. Our clients rate their experiences with us 30 percent higher than the competition. Sales training and certification to help college students acquire the skills and experience needed to earn entry-level jobs in sales.